Preparation for retirement needs to be viewed as buying twice as much spouse costing half of your income for life. When some of my associates retired it was pretty hard for the rest of us to see any change. If you didn't plan, then mandatory retirement has been defined as: Introduction to Compulsive Poverty 101. Doctors have told me that some of the ulcers their retired patient's had while they were working were transferred t0 their spouse soon after they retired. Think about your retirement as being a living treasure and not of it as if you're dying. 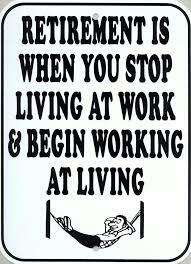 If you have plenty of savings to live on and many dreams to live for, then retirement is a wonderful idea. But keep this in mind; the key is to have enough money to reach your dreams, but not enough to have to worry about. When you look around and watch some people at their job, you have to pause and question exactly what they plan to do in retirement. When you retire condition yourself to a calendar of six Saturday's followed by a day off on Sunday. Be careful not to overachieve your experience. Because once that happens it is followed by retirement. When you retire, ease your mind by spending your evenings scrubbing the hard disk of your laptop and burning the risky papers in your file box. Set your mind to think of retirement as a time that allows you to do whatever you want to do whenever you want to do it. No one sets a schedule except you. That's the joy of being retired. The truth of working is that most of our work force does fundamentally meaningless non-productive work. When they retire they often are jolted by the realization that the truth of their working life is exposed to them. In all successful ventures, the foundation is prior planning. The same holds true of a successful retirement. 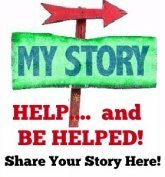 Since I retired I honed my writing skills, found an Editor, and have spent my productive time writing crime, thriller, suspense and mystery short stories . I don't do it for the money, I.write for leisure and publish to entertain others. I have found success on the Internet and my reward comes when I read the reviews of my work. I have just entered the 27th year of retirement and I can truthfully say that I have never been bored wiry being retired. "The truth of working is that most of our work force does fundamentally meaningless non-productive work." Never has a truer thing ever been articulated. For years I have watched people I worked with sit around warming chairs while collecting big pay cheques. I myself pushed paper for years, forever wondering what the heck I was actually contributing to society but taking the money. When I look back I sadly wonder what our civilization has come to. I have regrets, I try not to think about it too much but I go despair for the next generation. Meanwhile I am drifting along looking for meaning in my life. Question- Tom, if a lot of work before retirement is meaningless... Have you had a chance in retirement to find a new passion or something that we can define a meaningful pursuit?